Calciomercato exclusively understand that Fabio Paratici is interested in signing Federico Chiesa and Nikola Milenkovic, but Fiorentina would demand a fee in excess of 100 million euros to part ways with them. Chiesa and Milenkovic have come under high demand over the past few months, with Tottenham and Manchester United having been linked with a move for the Serbian defender. Chiesa, on the other hand, has been linked with moves to Roma, Inter Milan and Juventus. We exclusively understand that Paratici really likes Milenkovic and Chiesa and could make an offer for the La Viola duo, but Fiorentina would demand a fee of more than 100 million euros to let them go. It is said that Fiorentina chairman Andrea della Valle is not willing to negotiate for Chiesa, if a fee of less than 60 million euros is offered. He, in fact, is studying a way to extend the Italian's deal at the club. 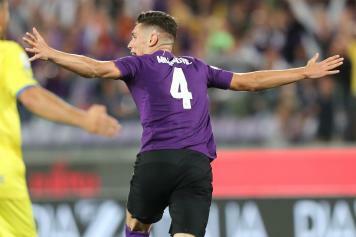 Milenkovic, on the other hand, has been impressive for the La Viola at full-back and centre-back. Fiorentina have rejected an offer of around 40 million euros in the last few weeks, but they want a fee of about 50 to 55 million euros to sell him.